September 1, 2010Alexander Djordjevic’s CD Gray Clouds: Piano Music of Franz Liszt is the recipient of the Hungarian Liszt Society’s 35th Annual Franz Liszt International Grand Prix du Disque.The Hungarian Liszt Grand Prix du Disque recognizes conductors, orchestras, performing artists and record producers of works by Franz Liszt, judged by a jury of renowned musicians. 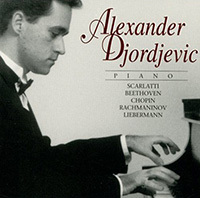 Alexander Djordjevic follows an esteemed list of notable pianists who have received this honor for their Liszt recordings including Claudio Arrau, Lazar Berman, Jorge Bolet, Alfred Brendel, György Cziffra, Leslie Howard, Vladimir Horowitz, Jenõ Jandó, Zoltán Kocsis, Maurizio Pollini and André Watts. Alexander Djordjevic received the award and performed a recital in Budapest, Hungary on October 22, the anniversary of Liszt’s birth. 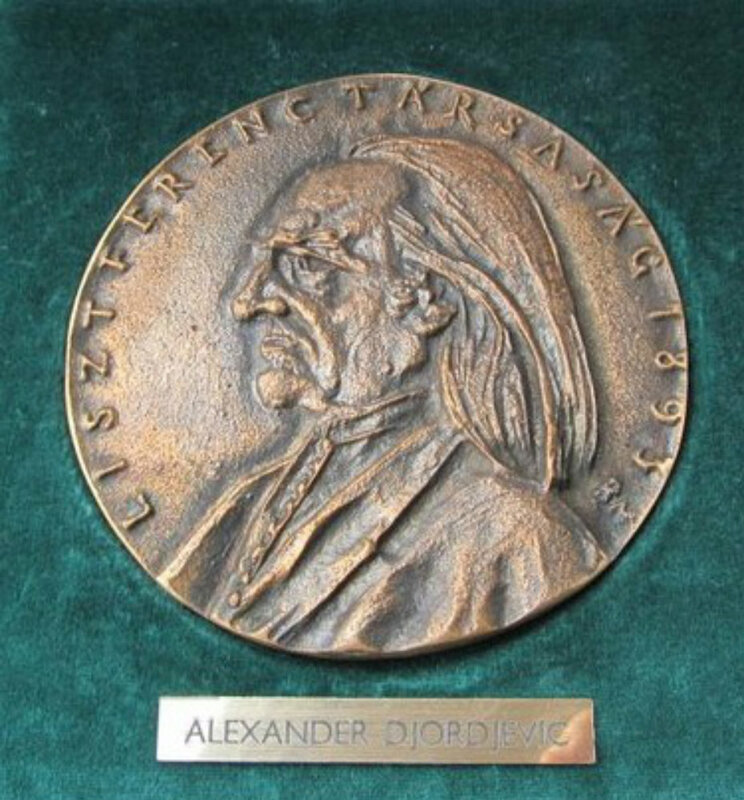 A long devotee of Franz Liszt’s piano music, Alexander Djordjevic was honored to receive this award at the Old Liszt Academy of Music preceding the 200th anniversary year of Liszt’s birthday. A Fulbright Scholar where he studied at the Hochschule für Musik in Freiburg, Germany, Djordjevic was a prizewinner in numerous piano competitions including First Prize, Grace Welsh Prize for Piano; First Prize, Kankakee Valley Symphony Orchestra's Young Artists Piano Competition; First Prize, Chicago Artists Association Competition; Bradshaw & Buono International Piano Competition; Nena Wideman Piano Competition, Shreveport, Louisiana; and Union League Civic & Arts Foundation Piano Competition, Chicago. He was also chosen to participate in the Cleveland International Piano Competition; the Young Concert Artists International Auditions, New York; and the New Orleans International Piano Competition. Alexander Djordjevic has performed as concerto soloist with the Central Oregon Symphony, New Philharmonic, Symphony of Oak Park River Forest, DuPage Symphony, Kankakee Valley Symphony, University of Illinois Symphony and Danville Symphony. 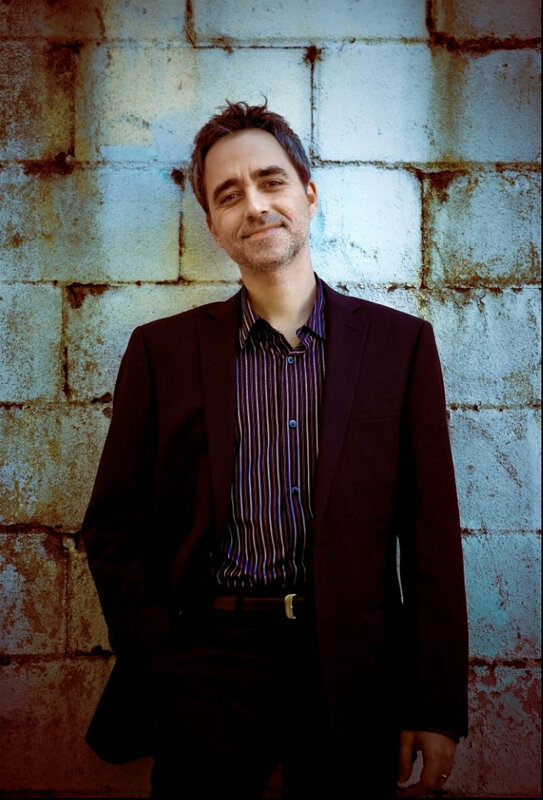 Highlights from Mr. Djordjevic’s recent solo and chamber music performances include Symphony Center, Chicago; Academy of Arts and Sciences, Belgrade, Serbia; Liszt’s 199th Birthday Celebration Concert at the Old Liszt Academy, Budapest, Hungary; Phillips Collection, Washington, DC; Dame Myra Hess Memorial Concerts, Chicago; PianoForte Chicago; Kosciuszko Foundation Auditorium, New York; Harold Washington Library, Chicago; Steinway Society Recital Series; Music Institute of Chicago’s Faculty and Guest Artist Series; 19th Century Club. Djordjevic has performed duo-piano recitals with Daniel Paul Horn, Mayumi Kikuchi, Brenda Huang, and Paul Barnes at various venues including PianoForte Chicago, Nichols Concert Hall, Wheaton College, University of Illinois (Urbana-Champaign), University of Louisville, Middle Tennessee State University, and University of Akron. Born in Chicago, Alexander Djordjevic began his piano studies at age three and made his debut as concerto soloist with orchestra at age twelve. 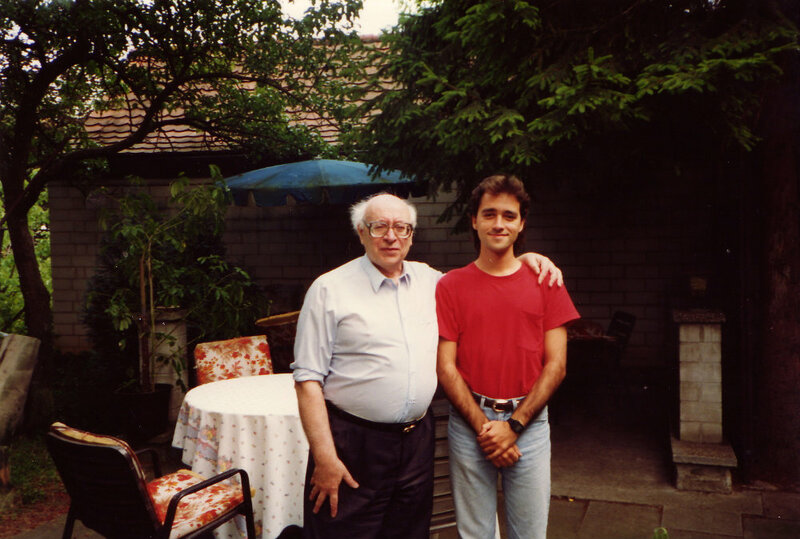 As a Fulbright Scholar, Alexander Djordjevic furthered his piano studies with Russian pianist Vitaly Margulis at the Hochschule für Musik in Freiburg, Germany, where he was awarded the Aufbaustudium Diploma “With Distinction.” He also holds advanced degrees in piano performance and literature from the University of Illinois. His teachers have included Vitaly Margulis, Joel Shapiro, Gustavo Romero, William Heiles, and Ann Schein (Aspen). He has released two CDs: Gray Clouds: Piano Music of Franz Liszt (2009), which features rarely performed late piano works of Franz Liszt; and Alexander Djordjevic Plays Scarlatti – Beethoven – Chopin – Rachmaninov – Liebermann (2000). Djordjevic’s live performances and recordings have been broadcast on radio stations worldwide. 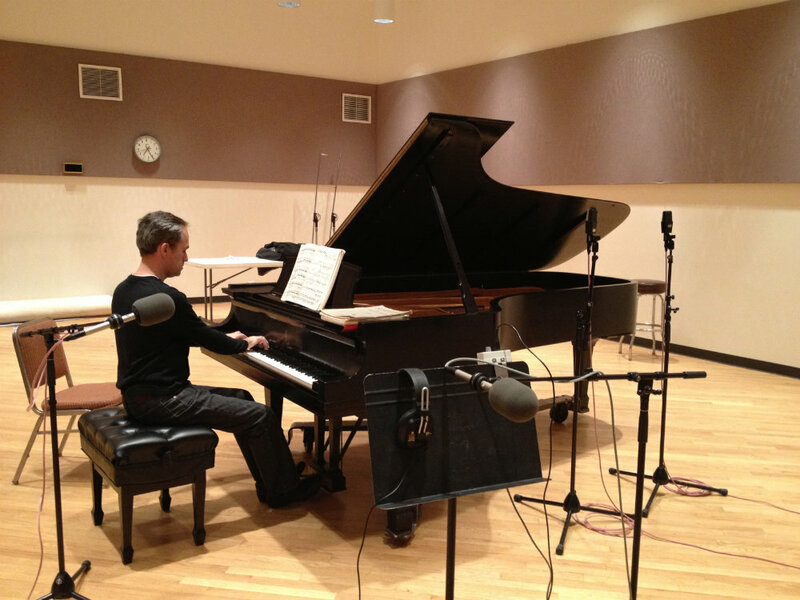 Mr. Djordjevic is on the piano faculty of the Music Institute of Chicago and maintains his own private studio. 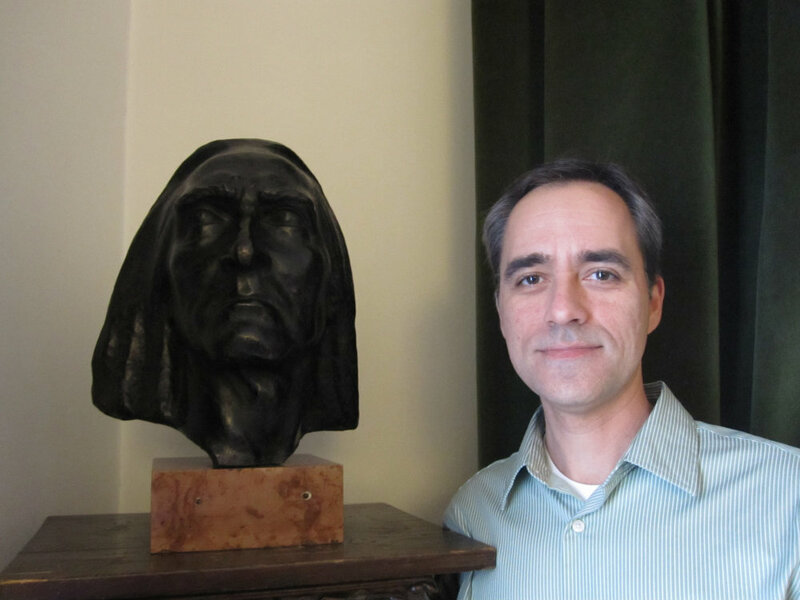 He is the membership secretary of the American Liszt Society and the president of the Chicago chapter of the American Liszt Society. The PianoForte Foundation will be hosting its annual Schubertiade, a celebration of Franz Schubert’s life and music. The Music Institute invites families to a Halloween outing, featuring scary music, including Andrew Lloyd Webber’s Phantom of the Opera and Bach’s Toccata and Fugue in D minor, performed by the Music Institute’s faculty, followed by a haunted musical open house at 4 p.m. Costumes are welcome! This second installment of the series "Piano Encounters" features timeless piano favorites of Frédéric Chopin (1810-1849) performed by internationally-acclaimed concert pianist and president of the Chicago chapter of the American Liszt Society, Alexander Djordjevic. All are invited to this FREE classical piano recital of music loved by millions, performed in this new beautiful concert hall at Wheaton College. Parking is also FREE! Whether you're new to the classical music scene, a piano student, or a regular concert-goer, we offer you a beautiful evening of great music. Come check it out. Please feel free to share this event with friends! Hope to see you there! No. 15 in D-flat Major “Raindrop"
No. 12 in C Minor "Revolutionary"
-Polonaise in A-flat Major, Op. 53 “Heroic"
One selection, to be announced. A lecture-recital presented to the West Suburban chapter of the Illinois State Music Teachers Association. Two-piano music by Franz Liszt, performed with Daniel Paul Horn. Duo Piano Recital with Daniel Paul Horn. Presented by the Chicago/Midwest Chapter of the American Liszt Society. If you can't make it in person, listen to the live broadcast on 98.7 WFMT or www.wfmt.com. Come celebrate Franz Liszt's 204th birthday with a grand evening of music performed by some of the Midwest's finest pianists! This year's theme is Years of Pilgrimage, and will feature selections from Liszt's Années de pèlerinage. Performers include: Duo pianists Claire Aebersold & Ralph Neiweem, Alexander Djordjevic, Young Rising Star Andrew Guo, Daniel Paul Horn, Brian Lee, George Radosavljevic, Nicholas Roth and Aaron Stampfl. Please join us to experience this event at the acoustically and architecturally magnificent Nichols Concert Hall in Evanston! Tickets are available for purchase at LisztChicago.tix.com and at the door. 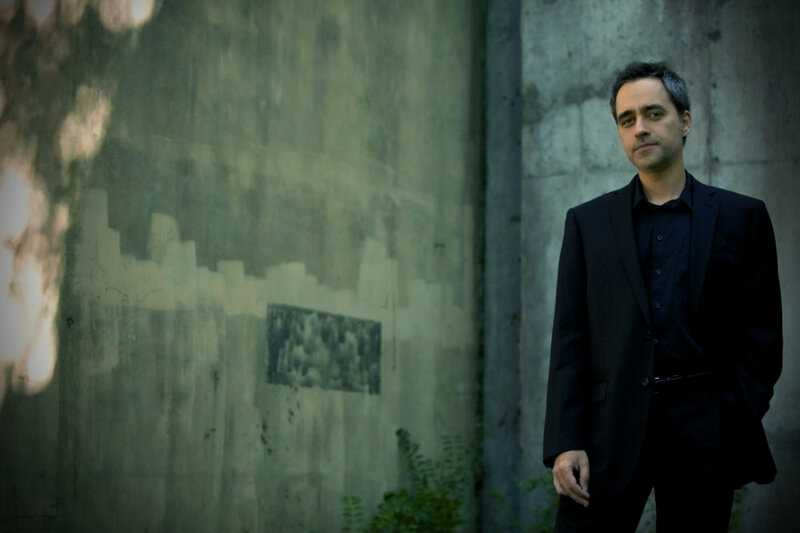 Praised by the New York Times for his “Lisztian thunder and deft fluidity,” and the San Francisco Chronicle as “ferociously virtuosic,” pianist Paul Barnes has electrified audiences with his intensely expressive playing and cutting-edge programming. He has been featured four times on APM’s Performance Today and on the cover of Clavier Magazine and his recordings are broadcast worldwide. He has performed in England, China, Korea, Taiwan, Austria, Russia, Greece, Italy, Serbia, Hungary, and in all major cities throughout the US. Deeply inspired by the aesthetic challenge of minimalism, Barnes commissioned and gave the world premiere of Philip Glass’s Piano Concerto No. 2 (After Lewis and Clark). The Omaha World Herald praised Barnes playing for his “driving intensity and exhilaration.” Nebraska Educational Telecommunications' production "The Lewis and Clark Concerto," a documentary/performance of the concerto featuring Barnes, won an Emmy for Best Performance Production. Additional performances included collaborations with conductor Marin Alsop at the prestigious Cabrillo Festival of Contemporary Music and also the Northwest Chamber Orchestra where the Seattle Times called Barnes' performance "an impressive feat." The world-premier recording with the NWCO was released by Orange Mountain Music. Gramophone Magazine remarked that this recording is "certainly one of the most enjoyable recent releases of Glass's music...Paul Barnes is a shining soloist." Orange Mountain Music also released Barnes' recording of his transcriptions from the operas of Philip Glass, including both the Trilogy Sonata and the Orphée Suite for Piano. Gramophone Magazine observed that “Barnes offers a surprisingly expressive reading…. Atmosphere and rhythmic vitality are important, and these qualities Barnes has in abundance.” The American Record noted that "Barnes is an expressive pianist with a lovely tone and a flair for the dramatic." New York critic Joseph Dalton described Barnes' playing of the Glass transcriptions as "atmospheric and elegant," while San Francisco critic Michael McDonagh hailed Barnes' performance as "remarkably effective, highly expressive.” The Trilogy Sonata and the Orphée Suite for Piano are published by Chester Music of London and are available at sheetmusicplus.com. Barnes’ eleventh CD The American Virtuoso featuring the music of Philip Glass, Samuel Barber, and Joan Tower was released on Orange Mountain Music to much critical acclaim. 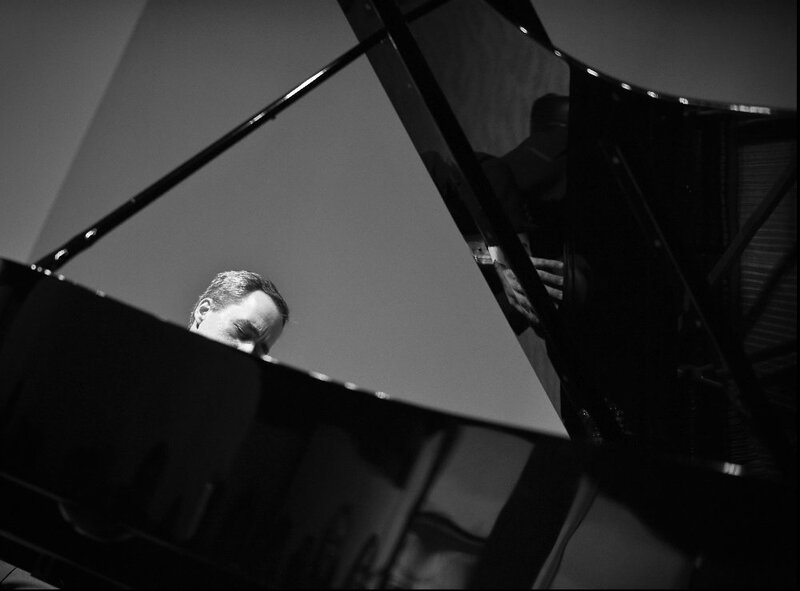 The American Record Guide wrote, "Another fine release from the amazing pianist Paul Barnes...with a pianist like this, new American music is in good hands." Barnes also serves as head chanter at Annunciation Greek Orthodox Church in Lincoln where his fascination with Byzantine chant led to a commissioned piano concerto "Ancient Keys" written by Victoria Bond based on a Greek chant. The world-premier recording of this concerto as well as Gershwin’s Rhapsody in Blue was released on Albany Records. 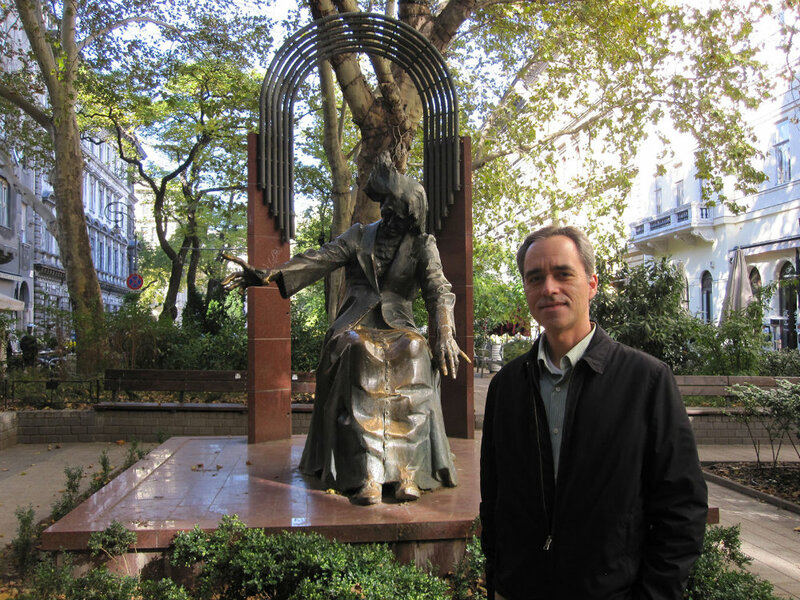 With performances throughout Europe, the Near East, the Far East, and the U.S., Barnes' unique lecture/recitals have received international acclaim. Liszt and the Cross: Music as Sacrament in the B Minor Sonata explores the fascinating relationship between music, theology, and the Orthodox icon. Barnes' live recording of this lecture recital was recently released on the Liszt Digital label. The British Society Newsletter reviewed the recording and wrote that Barnes was “a fine pianist and gives us a performance of resounding conviction.” Clavier Magazine wrote "It is a majestic, reverential performance that elevates listeners to the sacred experience Barnes so eloquently describes in the lecture." Barnes is Marguerite Scribante Professor of Music at the University of Nebraska-Lincoln Glenn Korff School of Music. He teaches during the summer at the Vienna International Piano Academy and also coaches the students of Menahem Pressler, Barnes' own teacher, at Indiana University where Barnes received his doctorate in Piano Performance. In great demand as a pedagogue and clinician, Barnes has served as convention artist at several state MTNA conventions and was recently named ‘Teacher of the Year” by the Nebraska Music Teachers Association. 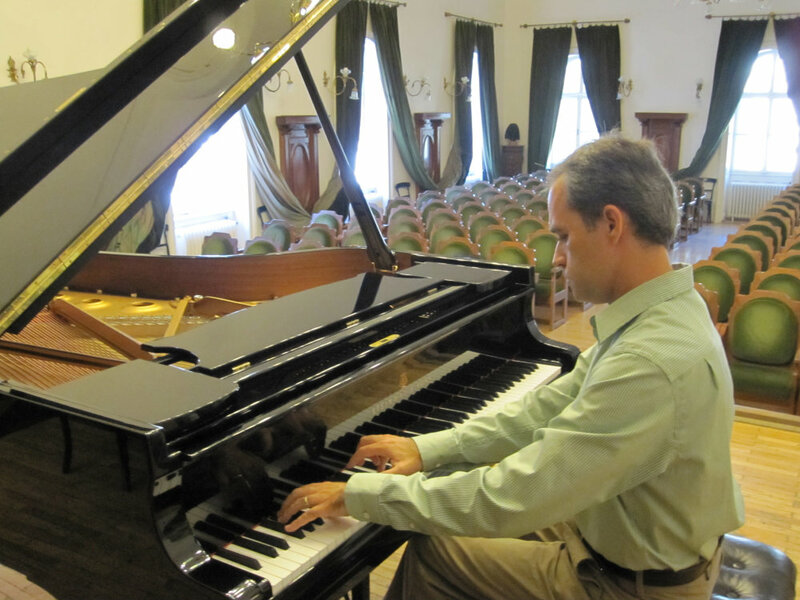 Barnes also teaches and performs regularly at the famed Amalfi Coast Festival in Italy. Upcoming projects include the release of Barnes’ twelfth CD: New Generations: The New Etudes of Philip Glass and Music of the Next Generation. Produced by Glass’s label Orange Mountain Music, the recording features a selection of Glass’s etudes juxtaposed with works by N. Lincoln Hanks, Lucas Floyd, Ivan Moody, Jason Bahr, Zack Stanton, and Jonah Gallagher. The sonic result is a breathtaking panorama of the energetic and expressive landscape that is twenty-first century piano music. Barnes has already performed the recital version of New Generations in Los Angeles, Seoul, and New York and is touring the US with the program during the 2015-16 season. Barnes will perform and lecture on New Generations at the Konservatorium Wien in June of 2015. In celebration of twenty years of collaboration, Barnes is also commissioning Philip Glass to write a piano quintet to be premiered with the Chiara Quartet in September of 2016 at the Lied Center for Performing Arts in Lincoln. 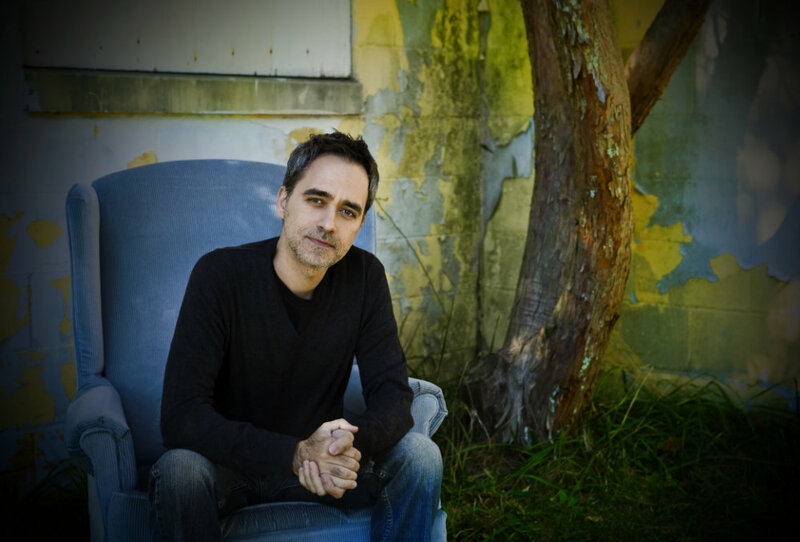 Barnes’ recordings are available on Pandora, ITunes, YouTube, and Amazon. Alexander Djordjevic is known for his "formidable talent and technique," "profound poetic sensitivity" and "elegant, expressive, yet powerful and electrifying playing." The Washington Post has declared him "a constant infusion of original insight." Gramophone Magazine proclaimed him "a fine young pianist." 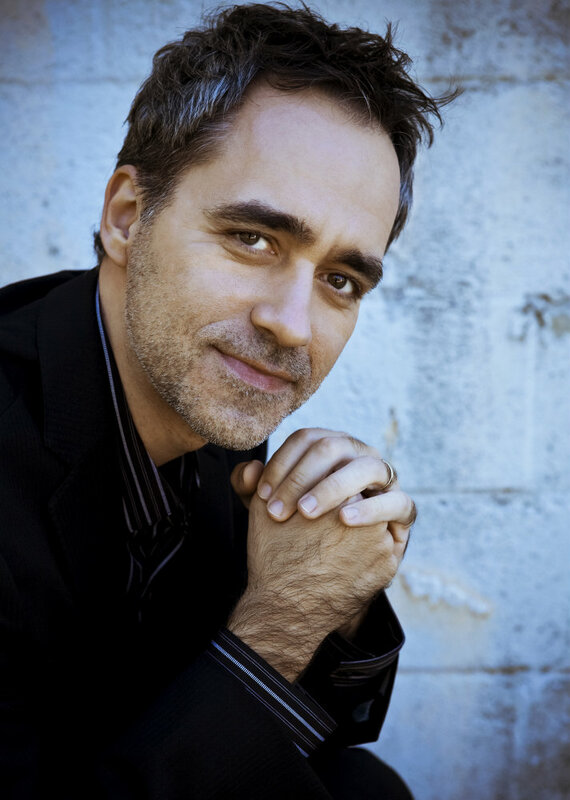 Alexander Djordjevic has also been recognized for his stirring recordings of the late works of Franz Liszt. 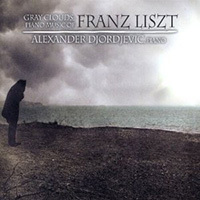 Djordjevic's CD, Gray Clouds: Piano Music of Franz Liszt, was the 2010 recipient of the Hungarian Liszt Society's 35th Annual Franz Liszt International Grand Prix du Disque. Alexander Djordjevic follows an esteemed list of notable pianists who have received this honor for their Liszt recordings including Vladimir Horowitz, Claudio Arrau, Alfred Brendel and Andre Watts, among others. 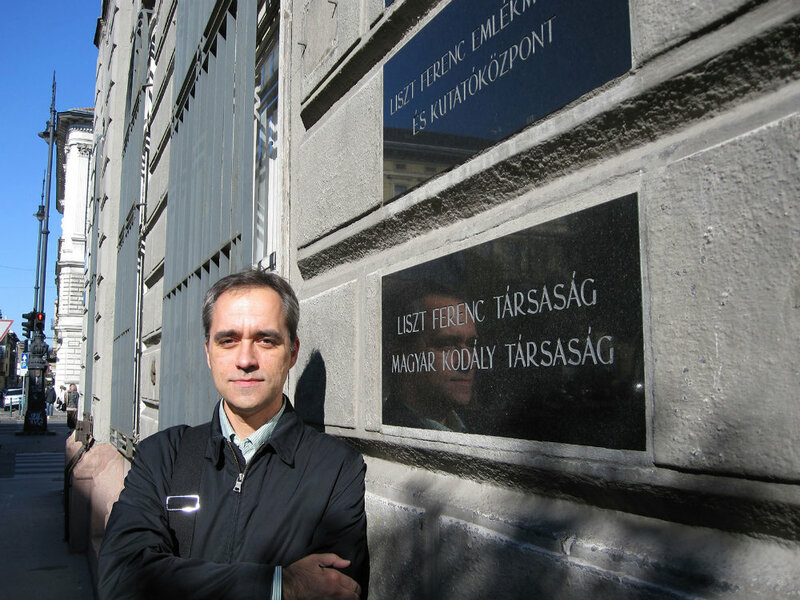 Mr. Djordjevic received the award and performed a recital on the 199th anniversary of Liszt's birth at the Old Liszt Academy of Music in Budapest, Hungary. 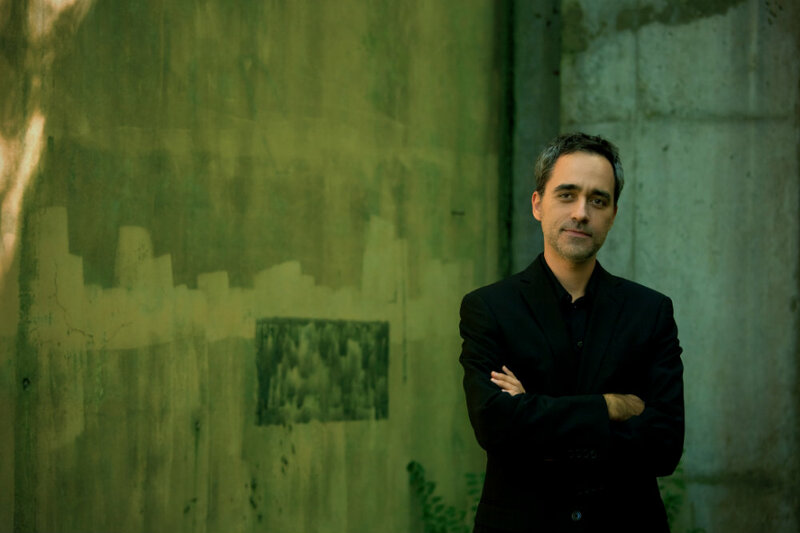 The Jury of the Liszt Ferenc International Grand Prix du Disque lauded Djordjevic for having "the key to the peculiar and meditative world of the works from Liszt's late years." Gramophone Magazine writes about Gray Clouds: Piano Music of Franz Liszt, "Djordjevic brings great subtlety to this well programmed Liszt Disc." It goes on to write, "... Djordjevic's mastery and commitment are never in doubt. Listen to the first Elegie's carefully gauged climaxes, the subtle gradations in tone that help flesh out Nuages gris' sparse textures, the warm legato that embraces Romance oubliée's soft chords, or how the pianist imbues the Bagatelle ohne Tonart's grace notes with a convincing jazzy flair." Phoenix Classical writes, "Through all of these works, Djordjevic displays a deep affinity for Liszt's music, showcasing by turns their profundity, their thoughtfulness and their joy, and in every case transcending any limitations of technique. Gray Clouds: Piano Music of Franz Liszt by Alexander Djordjevic is a stirring collection of works from one of music's most original artists." The Washington Post described Alexander Djordjevic in concert as, "an objective pianist in the sense that he remains always in scrupulous control of the music: Chords are immaculately voiced to yield the most minute harmonic changes; sonorities mix, hang around and then dissolve just when they should; and the musical line is scrubbed clean of artifice, clutter and distracting exaggerations. What then emerges is a constant infusion of original insight that freshens the music and makes even repertory staples seem new." 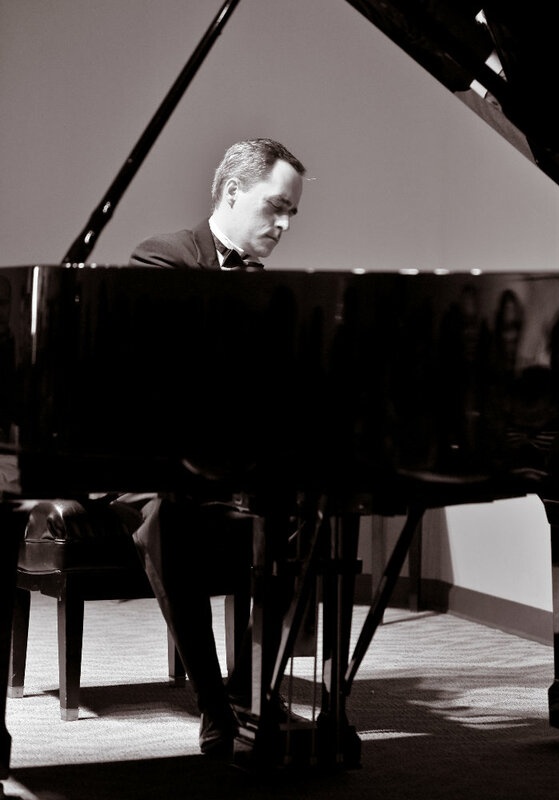 In addition to being named a Fulbright Scholar where he studied at the Hochschule für Musik in Freiburg, Germany, Djordjevic was a prizewinner in numerous piano competitions including First Prize, Grace Welsh Prize for Piano; First Prize, Kankakee Valley Symphony Orchestra's Young Artists Piano Competition; First Prize, Chicago Artists Association Competition; Bradshaw & Buono International Piano Competition; Nena Wideman Piano Competition, Shreveport, Louisiana; and Union League Civic & Arts Foundation Piano Competition, Chicago. He was also chosen to participate in the Cleveland International Piano Competition; the Young Concert Artists International Auditions, New York; and the New Orleans International Piano Competition. Alexander Djordjevic has performed as concerto soloist with the Central Oregon Symphony, New Philharmonic, Symphony of Oak Park River Forest, DuPage Symphony, Kankakee Valley Symphony and Danville Symphony. 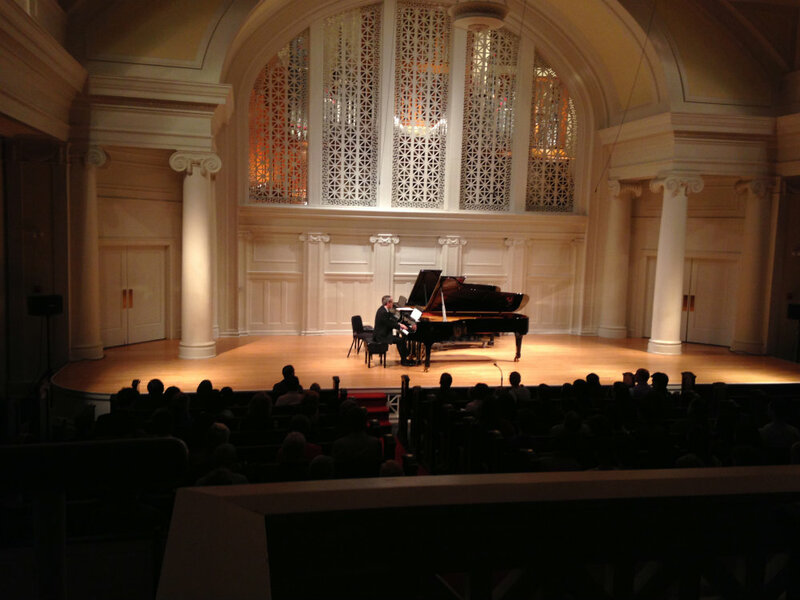 Mr. Djordjevic's solo recital performances have included the Academy of Arts and Sciences, Belgrade, Serbia; the Phillips Collection, Washington, DC; the Dame Myra Hess Memorial Concerts, Chicago, Illinois; PianoForte Chicago including Schubertiade Chicago; the Harold Washington Library, Chicago, Illinois; the Steinway Society Recital Series; Music Institute of Chicago's Faculty and Guest Artist Series; the 19th Century Club; the Kosciuszko Foundation Auditorium, New York; the Old Liszt Academy of Music, Budapest, Hungary; and various performances in Germany. 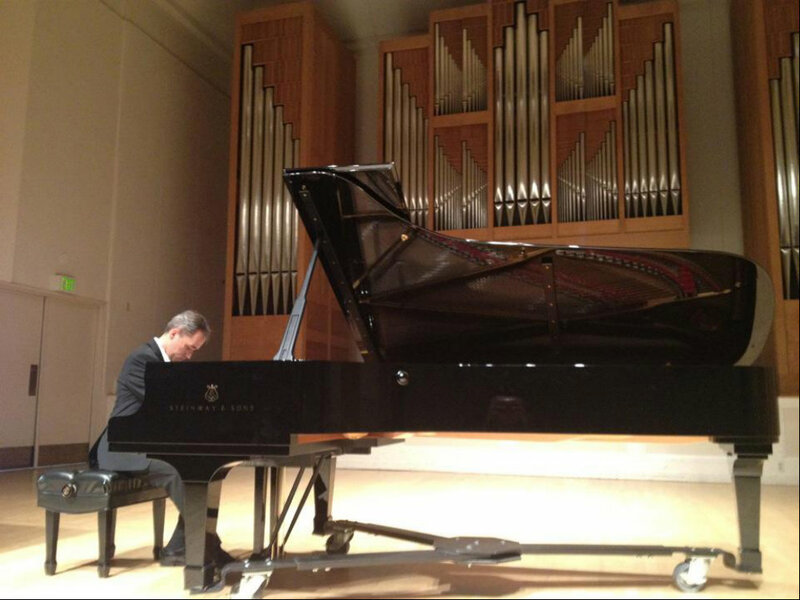 Djordjevic has performed duo-piano recitals with Dr. Daniel Paul Horn, Dr. Mayumi Kikuchi, and Brenda Huang at various venues including PianoForte Chicago, Nichols Concert Hall, Wheaton College, University of Illinois (Urbana-Champaign), University of Louisville, Middle Tennessee State University, and University of Akron. 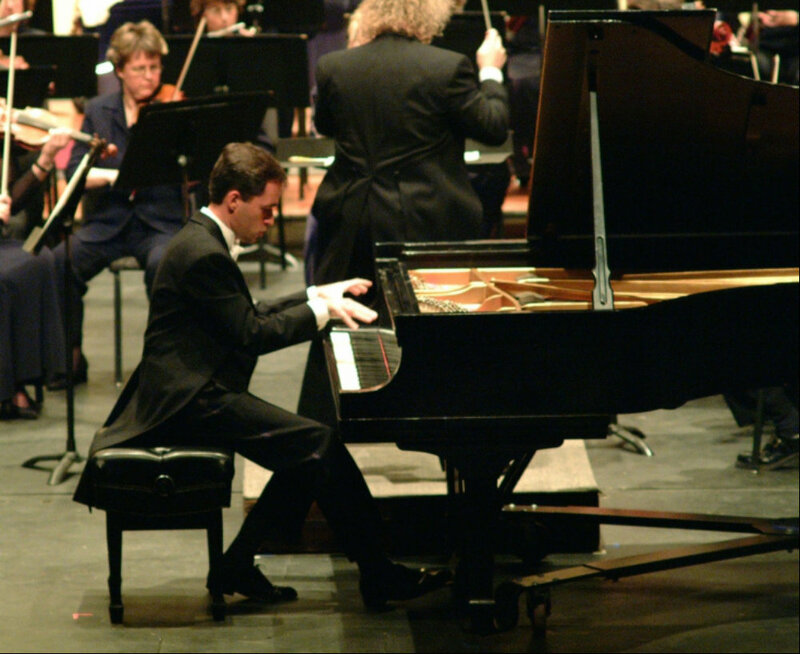 Born in Chicago, Alexander Djordjevic began his piano studies at age three and made his debut as concerto soloist with orchestra at age twelve. 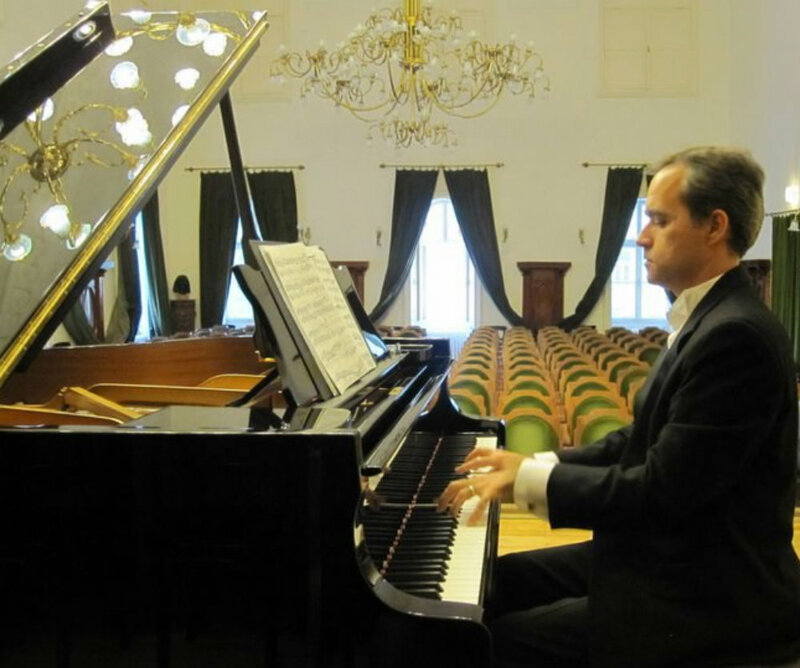 As a Fulbright Scholar, Alexander Djordjevic furthered his piano studies with the Russian pianist and pedagogue Vitaly Margulis at the Hochschule für Musik in Freiburg, Germany, where he was awarded the Aufbaustudium Diploma "With Distinction." He studied piano under full scholarship at the University of Illinois (Urbana-Champaign) where he earned his Undergraduate and Master's degrees and completed his Doctoral coursework. His teachers have included Vitaly Margulis, Joel Shapiro, Gustavo Romero, William Heiles, and Ann Schein (Aspen). He has released two CDs: Gray Clouds: Piano Music of Franz Liszt (2009), which features rarely performed late piano works of Franz Liszt; and Alexander Djordjevic Plays Scarlatti - Beethoven - Chopin - Rachmaninov - Liebermann (2000). Mr. Djordjevic is also highly regarded as a piano teacher. 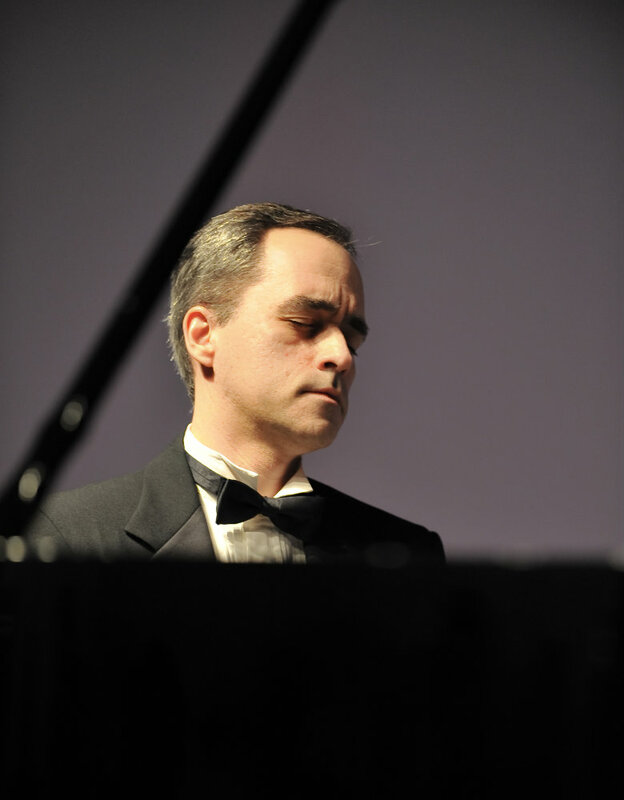 He is currently on the piano faculty at the Music Institute of Chicago and College of DuPage, and is the president of the Chicago/Midwest chapter of the American Liszt Society. For more information, visit www.AlexanderDjordjevic.com. 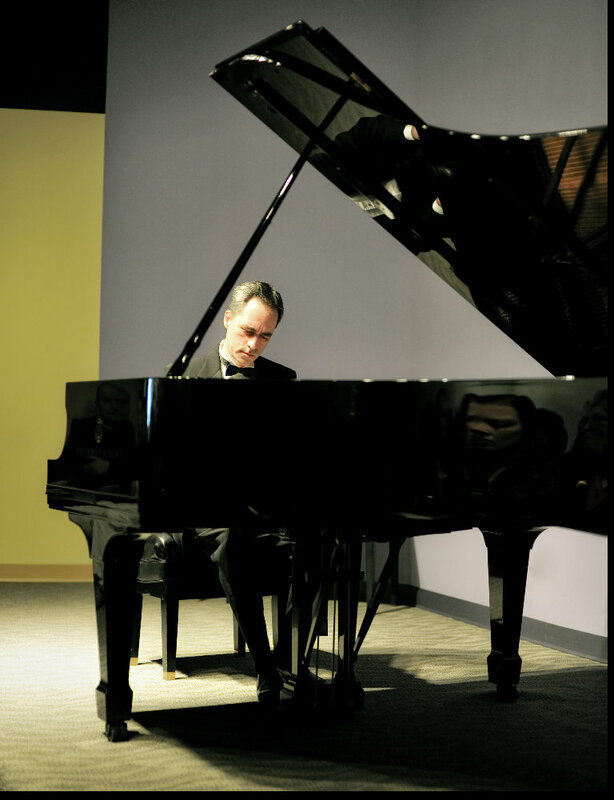 Chicago Duo Piano Festival presents: Faculty Extravaganza! Come help commemorate Franz Liszt's 202nd birthday by enjoying a monumental evening of Liszt's music as performed by some of Chicagoland's most celebrated concert pianists! Performers include: Claire Aebersold and Ralph Neiweem, Svetlana Belsky, Alexander Djordjevic, Andrew Guo, Matthew Hagle, Brenda Huang, Sung Hoon Mo, George Radosavljevic and Paul Sanchez. To open the season, more than 30 members of the renowned Music Institute faculty perform music composed for and of the night. The program includes several Chopin Nocturnes, Rachmaninoff's Suite No. 1 for Two Pianos "La nuit... L'amour..." (The night...the love...), and Schoenberg's stunning work for strings Verklärte Nacht (Transfigured Night). The impassioned virtuosity and artistry of more than 20 Music Institute faculty shine in this concert featuring performances of 10 of Brahms’ Hungarian Dances and Chopin’s Études, Op. 10. Alexander Djordjevic will perform select Chopin Etudes. Alexander Djordjevic joins pianist Daniel Paul Horn in this exciting 2-piano work. Alexander Djordjevic joins other performers TBA. More info soon. 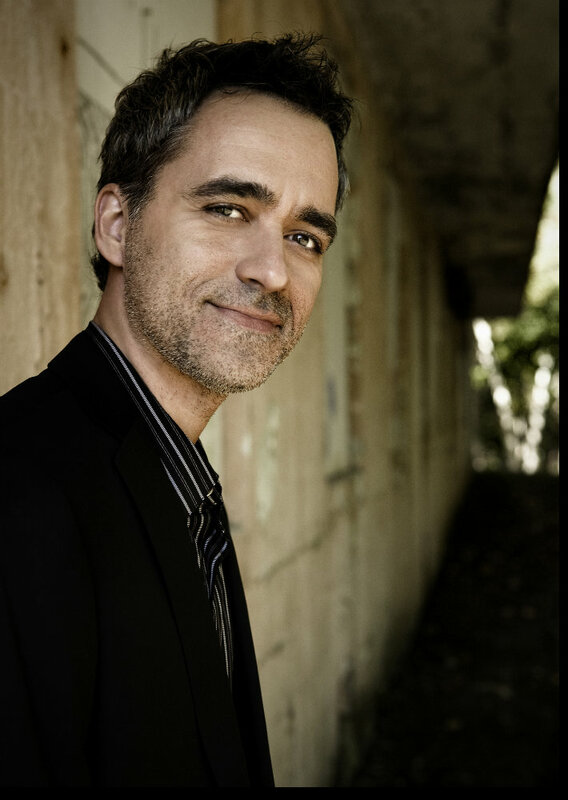 Alexander Djordjevic and other College of DuPage music faculty to perform. Frederic Chopin: Ballade, Op. 23, No. 1 in G minor; Frederic Chopin: Waltz, Op. 64, No. 2 in C-sharp minor; Frederic Chopin: Étude, Op. 10, No. 3 in E major, "Tristesse"; Frederic Chopin: Étude, Op. 10, No. 4 in C-sharp minor; Frederic Chopin: Étude, Op. 10, No. 5 in G-flat major, "Black Keys"; Franz Liszt: Impromptu, S.191; John Cage: In a Landscape; Sergei Rachmaninoff: Etude-Tableau in A minor, Op. 39, No. 6, "Red Riding Hood and the Wolf"; Frederic Chopin: Polonaise in A-flat major, Op. 53, "Heroic"
Alexander Djordjevic and Sung Hoon Mo, pianists. In this popular event, members of the Music Institute faculty offer a varied selection of four-hand and two-piano works. Performers include Chicago Duo Piano Festival Founders/Directors and Music Institute faculty piano duo-in-residence Claire Aebersold and Ralph Neiweem, along with faculty and staff members Maya Brodotskaya, Alexander Djordjevic, Irene Faliks, Elaine Felder, Mark George, Matthew Hagle, Mio Isoda, Katherine Lee, Soo Young Lee, Sung Hoon Mo, Milana Pavchinskaya, and Fiona Queen. works by Schumann, Chopin and Rachmaninoff, and Liszt's iconic Sonata in b minor. Live performance. Host: George Preston. 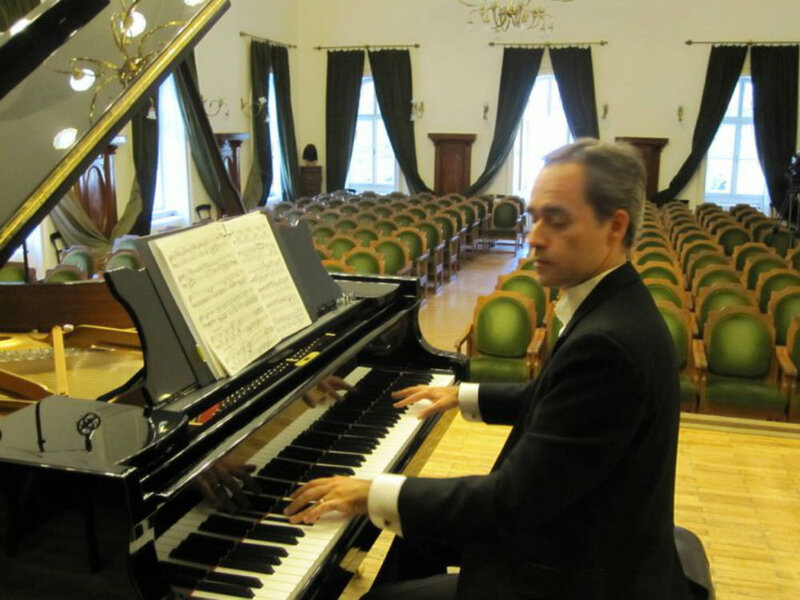 Alexander Djordjevic will give a performance and lecture about the late music of Franz Liszt. 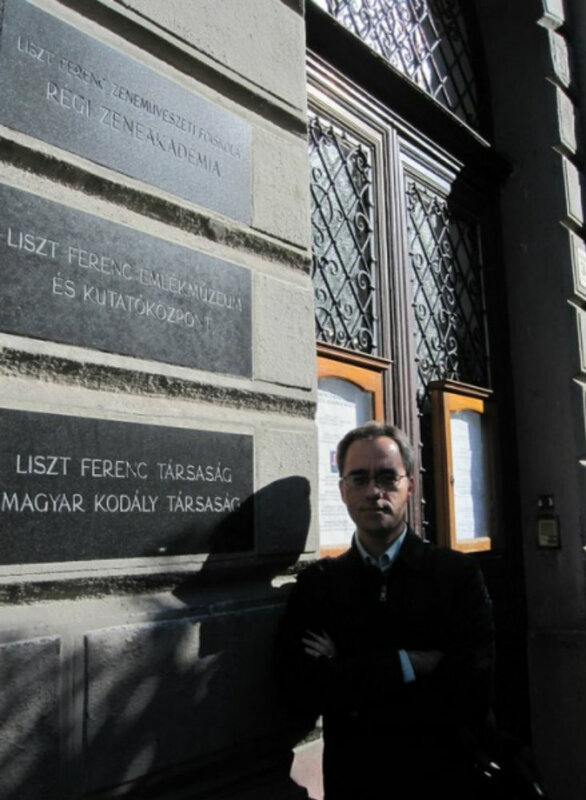 Alexander Djordjevic will receive the The Hungarian Liszt Society’s 35th Annual Franz Liszt International Grand Prix du Disque and perform a recital in Budapest, Hungary on October 22, the anniversary of Liszt’s birth. Stabat Mater, S.172b; Impromptu ('Nocturne'), S.191; Nuages gris (Trübe Wolken), S.199; Trauervorspiel und Trauermarsch, S.206; Bagatelle ohne Tonart - Bagatelle sans tonalité, S.216a; Liszt - Sonata in b minor, S.178. Chopin Etude Opus 10 No. 1. 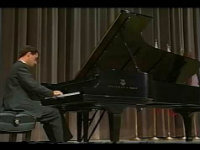 Recorded live during the 2001 Cleveland International Piano Competition. 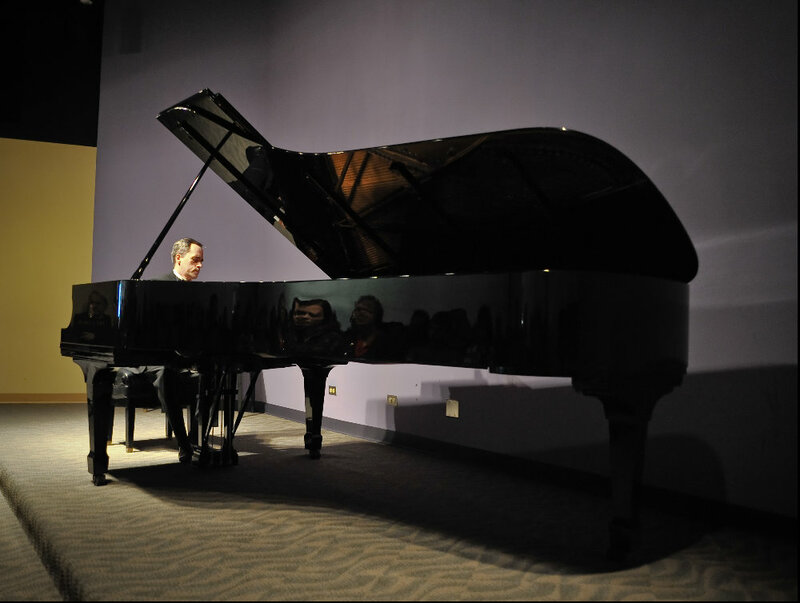 Alexander Djordjevic is a performing classical pianist who teaches private lessons to students of all ages at his personal studio in Wheaton, at the College of DuPage in Glen Ellyn, and at the Music Institute of Chicago in Downers Grove and Winnetka. 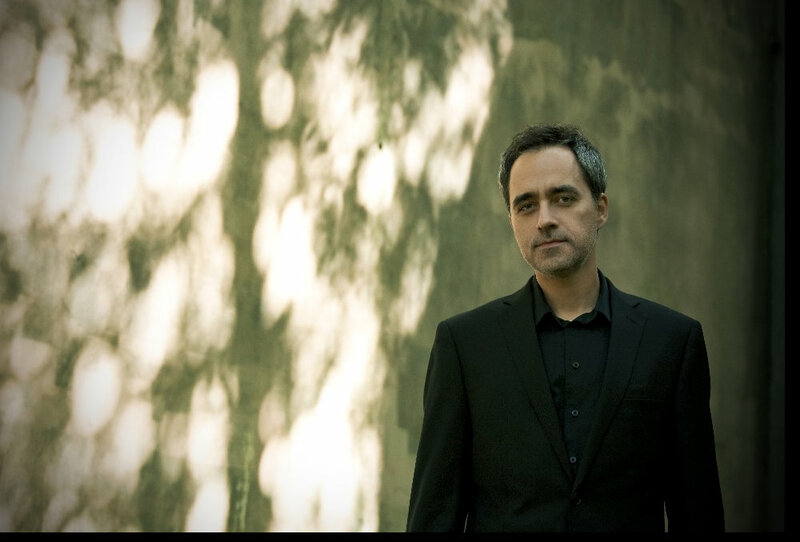 Besides having earned advanced degrees in piano performance and literature from the University of Illinois (Urbana-Champaign) and the Freiburg Hochschule für Musik (Germany), Mr. Djordjevic is a Fulbright Scholar who was the winner of numerous piano competitions. He frequently performs as a recitalist and concerto soloist, and has an extensive background in accompanying and chamber music. His performances have been broadcast on classical radio stations across the country. 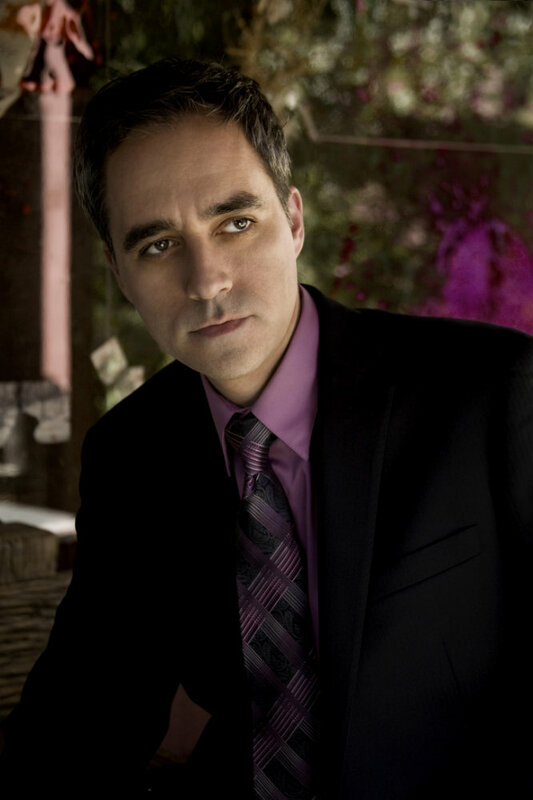 He has taught master classes and has judged regional and international piano competitions. These experiences greatly contribute to his expertise as a teacher. 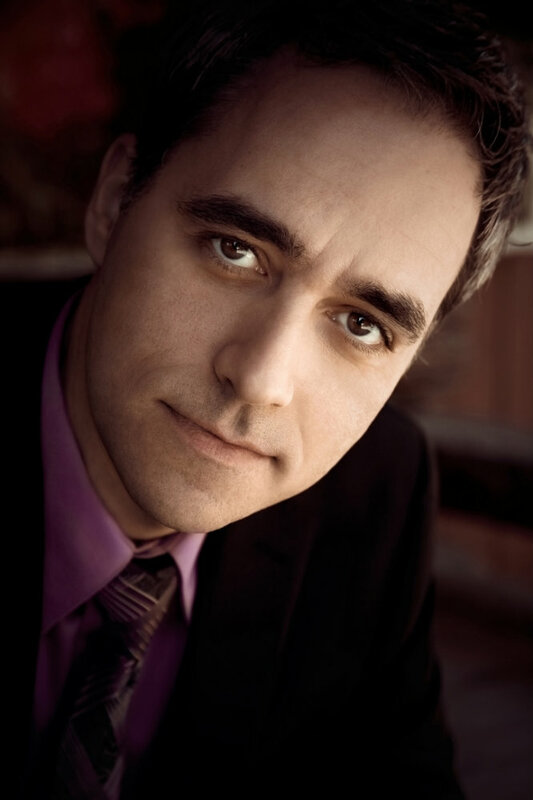 Having taught professionally since 1992, Djordjevic has taught piano at the University of Illinois, Northern Illinois University, College of DuPage, Wheaton College, University of Notre Dame, Benedictine University, Elgin Community College, and at the Music Institute of Chicago. His studio consists of children, adolescents, college students and adults. Alexander Djordjevic helps students of all ages become successful, confident, highly trained pianists. His comprehensive approach to teaching covers such topics as music theory, sight reading, transposition, ear training, and piano technique, as well as learning to play music for pure enjoyment. 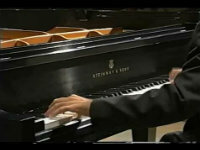 His students continue to win prizes in competitions and are regularly accepted into the nation’s top music colleges. Please contact Mr. Djordjevic with any questions about lessons and to schedule an interview.